I am an Administrator here at Civic engineers. My work history and degree are in Human Resource Management. Following a 7-year career break to raise our family, I have returned to the world of work. Civic Engineers has provided me with a brilliant opportunity to refresh my skills in a supportive, friendly, challenging and interesting environment. Prior to this I have always worked in the retail industry, so working in the field of engineering is completely new to me. However, I absolutely love it, and am constantly amazed by the different projects. Outside of work I love spending time with my family and trying to fit in some form of exercise to balance out my love of food. 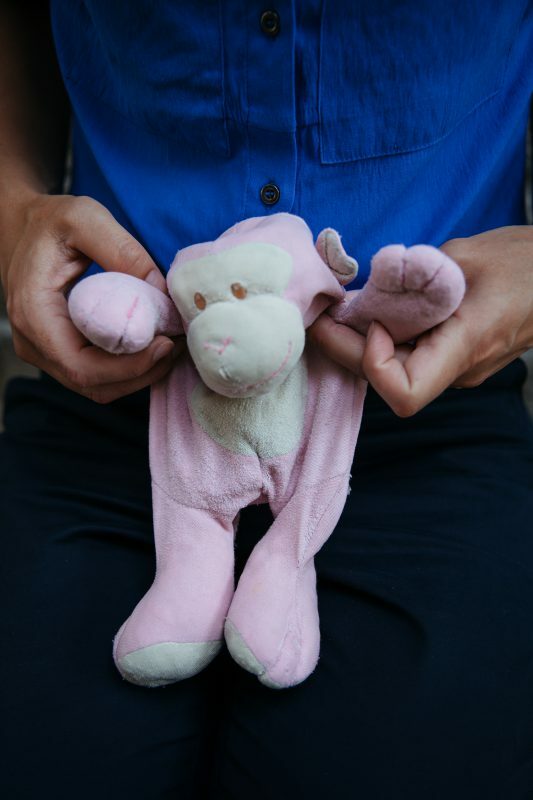 When asked to pick an item that meant something to me, I chose my daughters first ever toy, her beloved pink monkey. When she was born she was smaller than the monkey, so it is a constant reminder that something so tiny can grow into this truly amazing being, and if monkey’s can be pink anything is possible!